Palki Simple Blogger Template Paid Version Available is another theme by Gourab Design. is a color variant version. If you are running a blogspot blog and want to create a simple professional blog, then Palki is right for you. 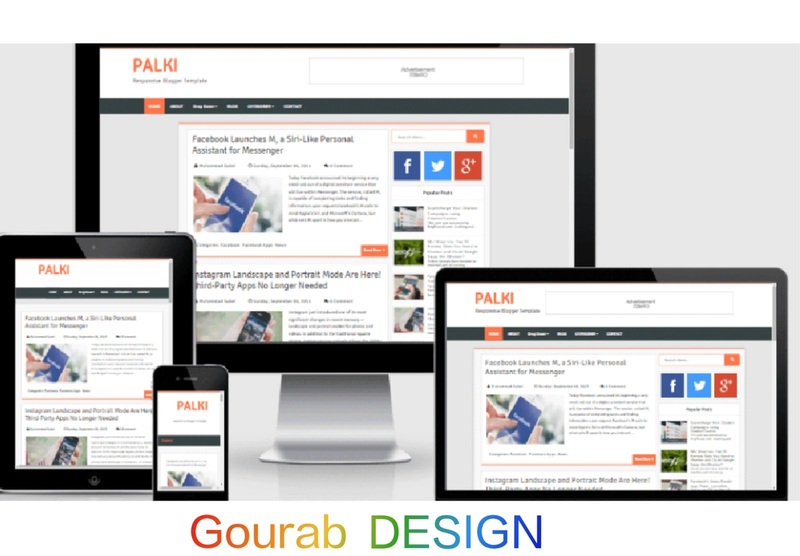 Palki is a modern, clean and responsive . A fresh and clean design is important in every blog because this is a wonderful designer .. sidebar used just an awesome social media icons widget. Facebook Social Icons, Twitter Social Icon, Google Plus Social Icon Widget is used with awesome hover effect. it is great to have this fully SEO optimized up to 100% .This was used in the null social icons widget in the sidebar. This is the first fully featured. now look at some of the attractive features of Palki. Palki theme is easy to customize, only simple and awesome to use dropdown layout and dropdown menu uses a beautiful reading button below each post in the main homepage. The BlogSpot Reader button can make it easy for every blog to navigate.